Meshack Asare is a gifted Ghanaian author-illustrator who has won international acclaim for a rare combination of literary and artistic talent, as revealed in his storybooks. He is not only a creative writer of considerable distinction but also an artist of international repute whose illustrations capture the mood of the verbal text as well as vividly evoke the desired response. 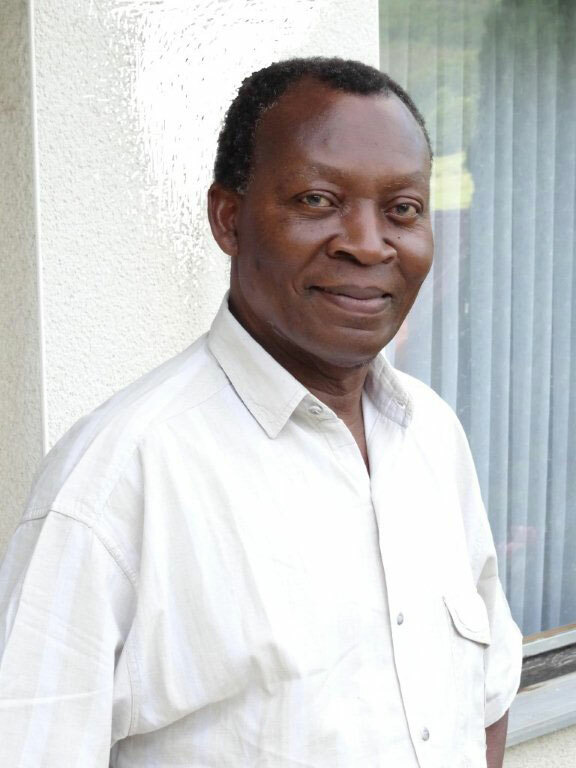 Asare has won many prestigious national and international awards as a writer and illustrator of books for children and young adults and is widely acclaimed for his skillful weaving of cultural traditions and realities of daily life into picture storybooks for children. He has been applauded for striving to celebrate both diversity and universality in his books, which have been translated into many languages: Danish, Dutch, German, Swedish, Japanese, Portuguese, Spanish, Italian, French, Russian, and other European languages in addition to being read around Africa. He was born September 18, 1945, the second of six children to Joseph K. Asare, an accountant, and Agatha Adoma Afram, a trader, at Nyankumasi in Ghana. He studied art at the University of Science & Technology in Kumasi and became a teacher, specializing in multicultural education. While teaching, he took an extension course in educational psychology from the University of Wisconsin–Madison. After moving to England in 1983, he studied for an MA in social anthropology at the University of London’s School of Oriental & African Studies and worked in the fields of art, education, culture, and administration. During this period he published a number of books, including Katze sucht sich einen Freund (Cat in search of a friend), which won the Austrian National Book Prize (1985) and BIB Golden Plaque (1986), and Sosu’s Call, which won the UNESCO First Prize for Books for Children and Young Persons in the Service of Tolerance. Since retiring, he has lived with his family in southern Germany. He is active in helping train young illustrators and writers by leading workshops and serving on juries.